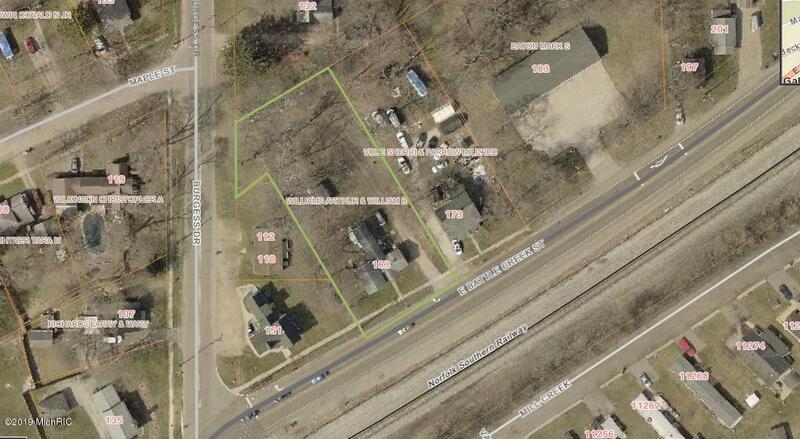 Over 1/2 acre in the City of Galesburg. Frontage on both E Battle Creek and Burgess Streets. Suitable for both residential or commercial development. Flexible zoning. Structures to be demolished . Listing provided courtesy of Rachel E Cunningham of Berkshire Hathaway Homeservices Michigan Real Estate. © 2019 MichRIC, LLC. All rights reserved. Information deemed reliable but not guaranteed.